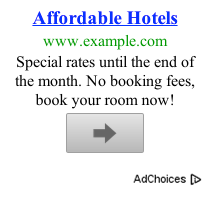 In September, Google added blue arrows to AdSense mobile ad units. They stuck around and publishers learned to enjoy the large blue call to action on their ads. Google said that during testing this they noticed an "uplift in clicks across publishers on the Google Display Network." This is rolling out this week and you should see the new ad designs soon.